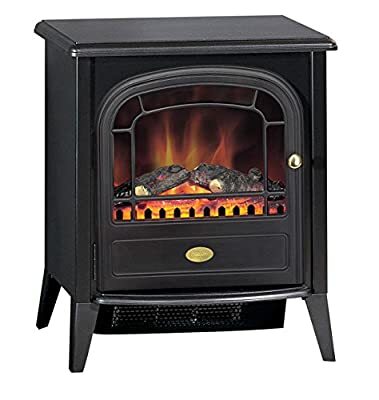 The Club is a mid-sized cast-iron style electric stove designed to fit in or on a standard fireplace and hearth. 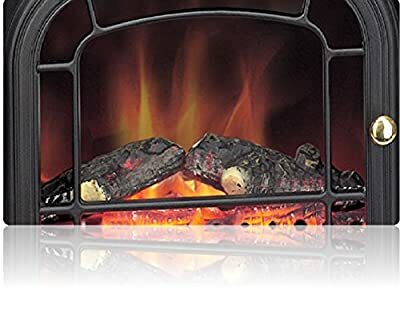 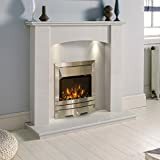 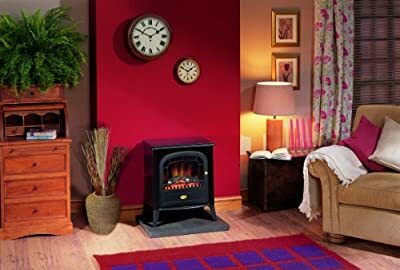 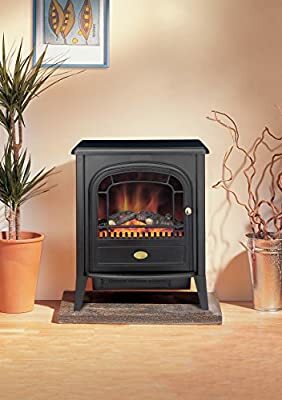 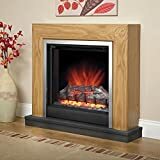 The Optiflame log effect gives the illusion of dying embers even when switched off and the flame effect can be used independently of the 2 heat settings. 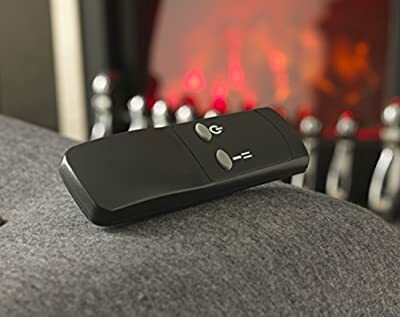 Also includes a remote control on/off.